If the body is repatriated to Finland in a coffin or an urn, a Finnish forensic pathologist writes the death certificate. In other cases, the family of the deceased must take care that the date of death is registered in the Population Register System of Finland. 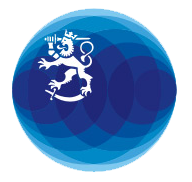 The death of a Finnish citizen abroad is notified to the Local Register Office or the information can be submitted/posted to a Finnish mission abroad, from where it is sent to the Local Register Office for registration. The original death certificate or a copy of it, authenticated at a mission of Finland, must be appended to the notification. If the document has been issued in some other language than Finnish, Swedish or English, an authorised translation in one of these languages must be provided. Translations made abroad must be legalised. Translations made by an authorised translator in Finland are valid as such. The family of the person who died pay the costs of the death certificate and its translation and legalisation.